Is there any paperwork or document for the mechanical systems of 3258 Colin St, Aylmer, Ontario? I need more information about the property at 3258 Colin St, Aylmer, Ontario. How ist the neighborhood, location and nearby amenities for 3258 Colin St, Aylmer, Ontario? I have questions about the roof, foundation, insulations and mechanical issues of 3258 Colin St, Aylmer, Ontario? I need more information about property details. What's wrong with this house? Is this a short sale? Is there any maintenance for 3258 Colin St, Aylmer, Ontario? What is this property worth in today's market? What are "closing costs", and how much? What steps should I take when looking for a home loan? What price home can I afford? Is my credit good enough to buy this house? What are the best mortgage options for me? How flexible is the seller on the asking price? How low can I consider offering for 3258 Colin St, Aylmer, Ontario? Beautiful Year Round Waterfront Home With Fabulous Views Of Lake Erie & Port Bruce Harbour, From The Wrap Around Upper Deck. 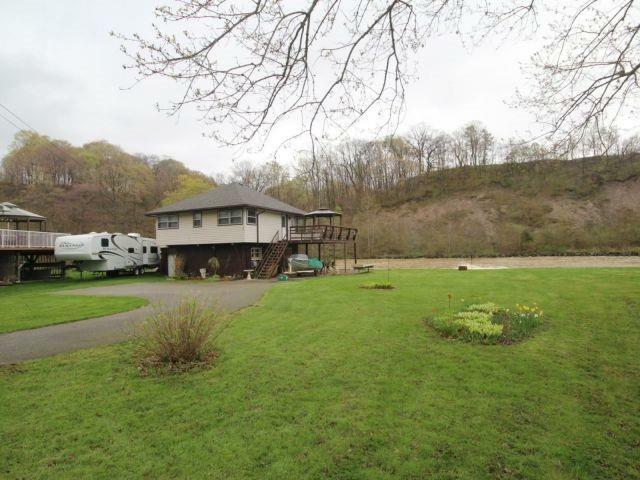 Natural Stone Reinforced Riverfront & Space For Your Own Private Dock. A One Block Stroll To The Pier, Sandy Beach, Caf? Or Ice-Cream Shop. Municipal Water, Natural Gas, A/C With Cable And High Speed Internet Available. Enjoy Great Boating, Fishing, Kayaking And More Right At Your Own Front Yard.